Dr. Drew Pinsky is a practicing physician, Board Certified in Internal Medicine, and Board Certified in Addiction Medicine. 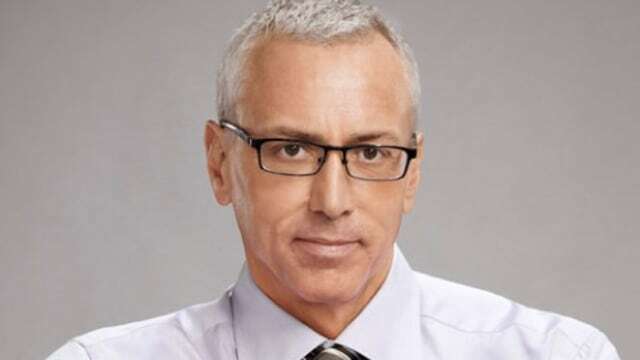 Pinsky starred in the hit reality series Celebrity Rehab with Dr. Drew, which chronicled the struggle for sobriety and the cycle of addictive disorders of a group of celebrities. The sixth installment of the series Rehab with Dr. Drew followed the real-life experiences of everyday people who are struggling with addiction as they undergo detoxification and treatment. In December 2010 Dr. Drew Pinsky joined HLN as the host of his own nightly show, Dr. Drew On Call, where his exploration of what makes people do what they do attracted a devoted audience. In April, 2016, Pinsky said a final goodnight to the audience of the nationally-syndicated Loveline radio show, which had been a source of no-nonsense advice for more than 30 years. Over the life of the show, Dr. Drew reached millions of listeners, helping them deal with a wide range of issues. Today, Dr. Drew continues to deliver his wisdom on a variety of programming including the iTunes top-rated Dr. Drew Podcast, The Adam and Drew Show cohosted by Adam Carolla, This Life with cohost Bob Forrest, Weekly Infusion with Dr. Bruce, and KABC’s Dr. Drew Midday Live with Mike Catherwood. Pinsky is the author of the New York Times bestseller The Mirror Effect: How Celebrity Narcissism is Seducing America (Harper-Collins) and Cracked: Putting Broken Lives Together Again (Harper-Collins). Dr. Drew co-authored the first academic study on celebrities and narcissism. The study was published in the Journal of Research in Personality (Elsevier) and received worldwide press coverage. Dr. Pinsky received his undergraduate degree from Amherst College and his M.D. from the University of Southern California, School of Medicine, where he remained for his residency. Pinsky then became chief resident at Huntington Hospital in Pasadena. He is a diplomat of the American Board of Addiction Medicine and the American Board of Internal Medicine. He has been appointed to the Alpha Omega Alpha Honor Medical Society and is a Fellow with the American College of Physicians (FACP). Dr. Drew is also a member of the board for the Prostate Cancer Foundation. Pinsky lives in Pasadena, California with his wife Susan and has triplets attending various universities.